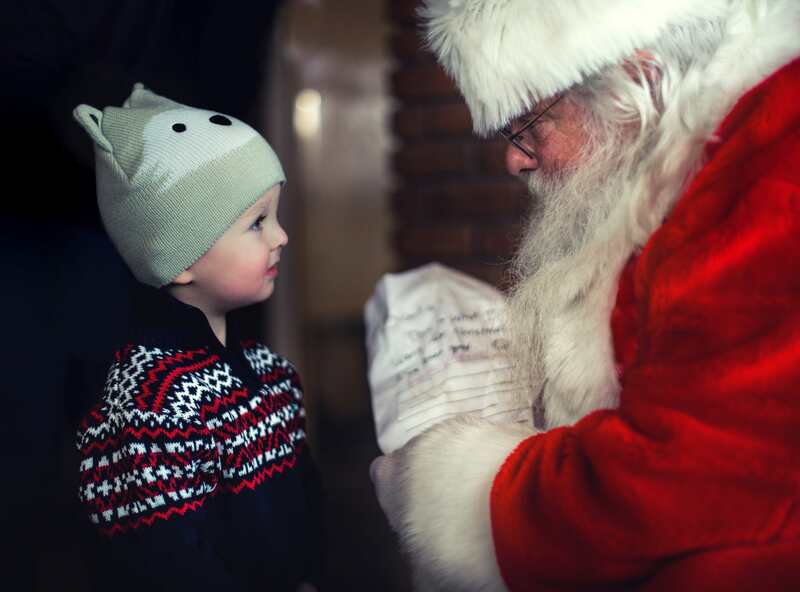 Santa starts thinking about next year’s Christmas presents on December 26th—and so should you. | Image courtesy Unsplash user Mike Arney. As usual, I’d been hoarding gifts since the end of last Christmas, picking up an item whenever something caught my eye. I started buying Christmas gifts throughout the year after I moved across the country from my family. The first holiday season away, I realized I didn’t have enough money to buy presents for everybody and a plane ticket home at once, so next year I spread my shopping out. I discovered that giving myself some breathing room made Christmas shopping actually…fun! Gone was the stress of shopping last-minute in over-crowded malls. Instead, I could focus on what I wanted to get each person, letting spontaneity be my guide if I happened upon the perfect present unexpectedly. Sounds good, right? If you’re intrigued, here’s a guide to buying Christmas gifts throughout the year. Your wallet, stress levels, and family will all thank you. 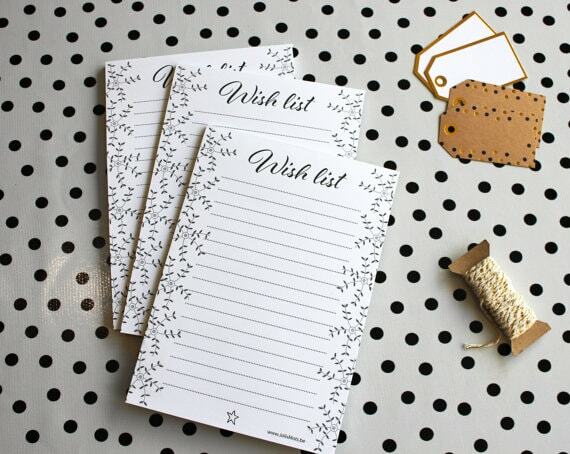 Wish lists are a great way to make sure you’re getting gifts your family really wants! | Image courtesy Etsy seller JolisMots. My niece’s yearly birthday wish list is a true work of art. Last year, she listed a Barbie Dreamhouse next to “a duck egg,” wrote “skateboard” three times, and used the front and back of her paper in order to get everything down. Needless to say, there were quite a few things she didn’t end up getting, but I saved her list so I could use it when shopping for her Christmas gifts. If you and your family regularly make holiday wish lists with a site like Elfster, it’s easy to buy Christmas presents throughout the year. You have their wants and needs gathered in one place and can quickly refer to them when you see something you think they might like. 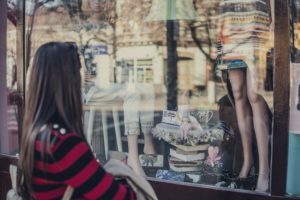 It’s also useful for shopping sales—it’s easy to get carried away when you see a big discount, but if you refer to the wish lists, you can make sure you don’t spend money on something they won’t really enjoy. 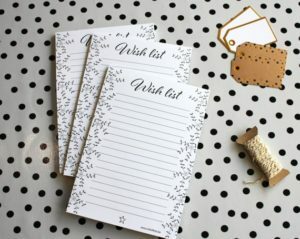 So hang onto those birthday wish lists and wedding or baby shower registries—they could come in handy when buying holiday gifts. Take advantage of sales throughout the year! | Image courtesy Unsplash user Gyorgy Bakos. Ah, February 15th, the most romantic day of the year. That’s the day my hubby and I scramble madly through the aisles of our local grocery store, stocking up on as many boxes of Valentine’s Day chocolate and not-that-wilted bouquets of roses as we can justify, all at a huge bargain. But the day after a big holiday isn’t just a great time to load your cart with candy and flowers. Post-Christmas and Valentine’s Day, you can find great discounts on everything from perfume sets to flatscreen TVs. One of my favorite parts about buying Christmas presents throughout the year is that I can almost exclusively shop sales. If I see something priced at a bargain, it’s worth it to buy it months ahead of time rather than waiting until Black Friday when everyone else is trying to get the same discounted item. Not only is it less stressful, but it’s also more economically feasible to spread my purchases out over the course of a year. It also gives me time to shop around, since not all sales are created equal. One store’s huge blowout might turn up nothing but bulk packs of tube socks and crumbling styrofoam jack-o-lanterns, but because I’m shopping over the course of months instead of hours, I won’t feel pressured to buy. It gives me time to search for the holy grail, like the time I found the exact pair of earrings my mom had casually mentioned wanting on sale for 50% off a few months before the holidays. “Isn’t it a little cold?” my mom asked, as I showed off my new swimsuit. It was May in Maine, long before it would be warm enough to swim, but May and August—before and after peak beach season—are the best times to buy swimsuits. Shopping seasonally goes two ways. You can buy great gifts you might not have access to during Christmas, like locally made apple butter or beachy home decor. But you can also find great gifts and great deals by shopping for things that are out of season. I’ve bought skis for my brother-in-law in April, camping equipment for my husband in October, and pool floaties for my niece in September, all for less than if I were purchasing them in season. When the holidays come, I have everything I need because I’ve been buying Christmas presents throughout the year. 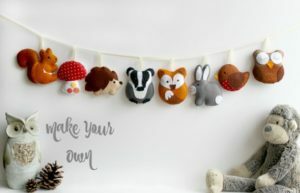 Crafting kits, like this woodland bunting, make it easy to DIY your Christmas gifts. | Image courtesy Etsy seller PollyChromeCrafts. From the quilt on my mom’s bed to the painting in my father-in-law’s office, homemade gifts are some of my favorite to give. But waiting until the last minute to make your gifts can be super stressful—shopping for craft supplies when you’ve got a lot on your mind can lead to some bizarre mistakes (that’s coming from someone who once bought white paint instead of glue and didn’t notice until after attempting to put my styrofoam snowman together…on Christmas Eve). Instead, plan your projects well in advance—we’re talking months. You may think you can complete a DIY gift project for your in-laws in a month, but life gets in the way, so plan for the unexpected. In fact, I find that the best time to start making my Christmas presents for the coming year is right after the holiday season when my social calendar is most relaxed and I have time to prepare. That way, if I start a project and realize it’s beyond my skill level, I have time to try something else. Making a present for someone is an act of love, so you want to enjoy the process. 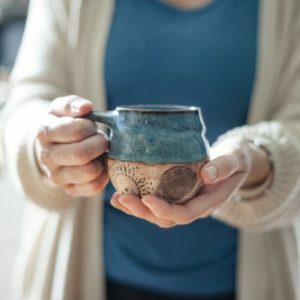 By starting well in advance, buying your supplies, and making a crafting schedule, you can provide your loved ones with homemade Christmas gifts while minimizing stress. If your loved one “likes” something on social media, it might just make a great gift! | Image courtesy Etsy seller juliaedean. “How did you know?” I was genuinely confused. I held a custom earthenware pot from a company I followed on Facebook, but I didn’t even know my husband had ever heard of them (and the idea of him randomly stumbling across the same small pottery maker, located hundreds of miles away, seemed unlikely). It turns out that he’d seen them pop up on his Facebook feed as a page I “liked,” checked their website, and got me one of their pieces. He bought it months before Christmas, afraid he’d forget by the time the holidays rolled around, and stashed it in some corner of our house. I see this sort of thing on my social media feeds all the time—my friends or family comment on a page’s products, “like” something new, or tweet about a coveted item. And when that happens, I go to the page they were interacting with to pick up a gift. Buying Christmas presents like this means I’m able to really surprise people because oftentimes, these gifts are things they never thought to mention to me. It’s a thoughtful way to show them you’re paying attention, even when the holidays are far from most people’s minds. Imagine it: a holiday when you’re not scrambling to buy presents at the last minute. It may sound too good to be true, but as with most things, careful planning and leaving yourself enough time can make your holiday shopping genuinely enjoyable. Buying Christmas gifts throughout the year takes the pressure off and leaves you time to leisurely search for the perfect gifts for your friends and family, or even to make them homemade presents. With this guide to spreading out your shopping over the year, you can spend more quality time with your family during the holidays instead of frantically shopping at the mall. And after all, isn’t spending time with family what the holidays are really about? Still need some gift ideas to get a start on the holidays? Check out our Christmas Gift Guides for everyone in the family. You can share your favorite finds with us on Elfster’s Facebook page, on Twitter @Elfster, and on Instagram @Elfster. Love your post. Good tips as to save time for buying gifts for Christmas for everyone. Its hard to get everything on the list in such a short notice. Handmade gifts can showcase lots of emotions. Thank you so much for the post.